In New Orleans on Tuesday, revelers will celebrate Mardi Gras with wild parades, never-ending parties and delicious Cajun and Creole food. 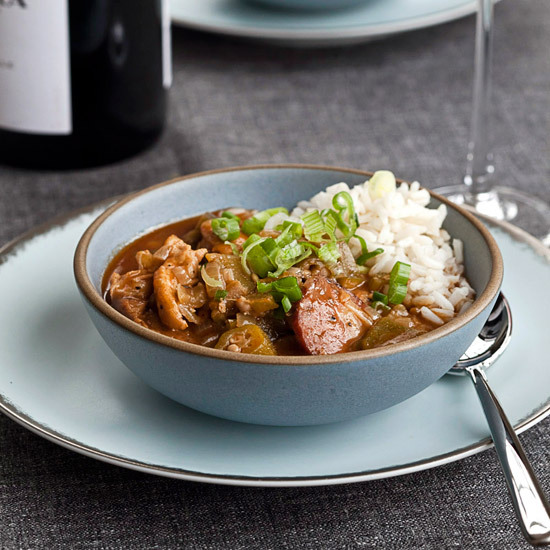 Home cooks can take part in the holiday by making Chicken-and-Okra Gumbo. This simplified version of the intensely flavorful stew uses precooked rotisserie chicken, canned stock and easy-to-find Cajun seasoning.